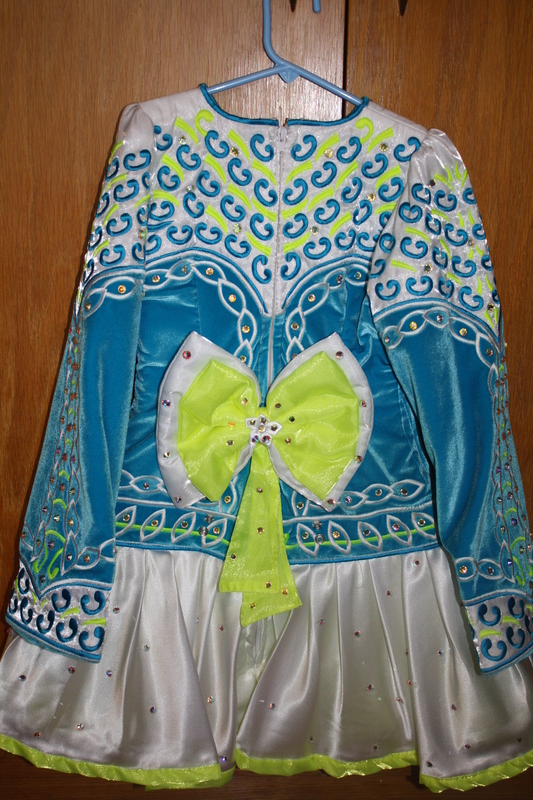 This is a beautiful Avoca dress that is light blue and white with neon yellow accents. 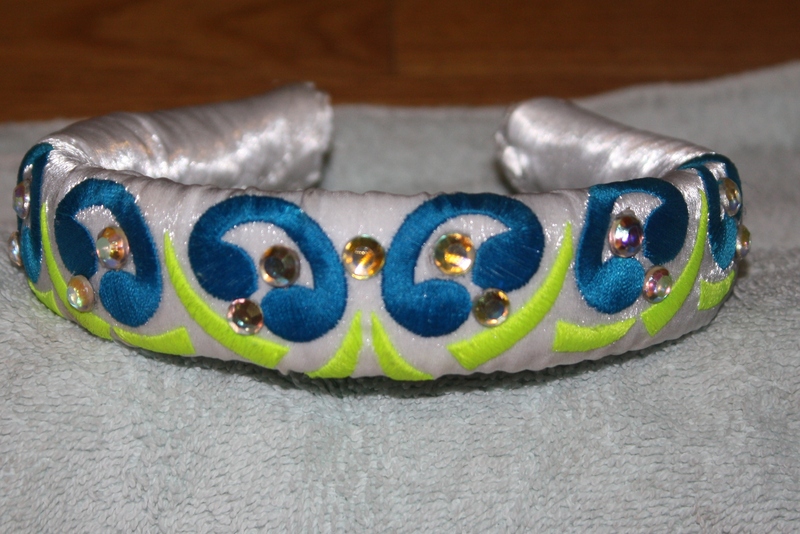 The blue material is velvet and the white skirt is stain. 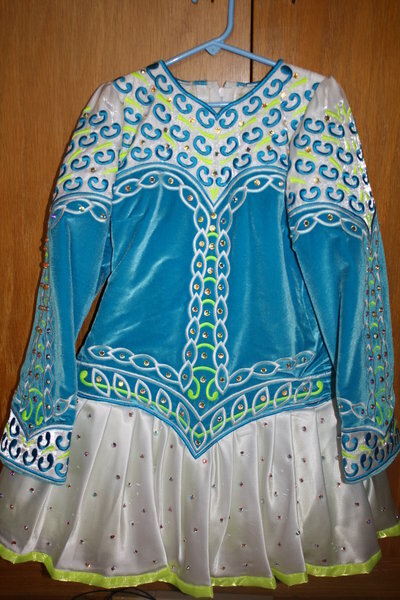 The design is embroidered with crystals highlighting the design as well as on the skirt. 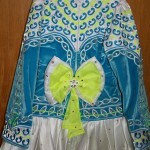 The cape is a white and yellow bow accented with crystals. 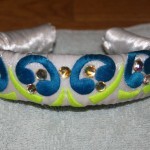 There is a matching white headband with blue and yellow embroidery as well as crystals. This dress was worn for two years and selling due to dancer’s growth. There is about an inch to let out at the end of the sleeves. The measurements taken for the chest and waist were taken by measuring the inside of the dress with the start and end point being the zipper. Asking Price: $US650.00. Shipping costs are included for my own country, overseas shipping is extra. Returns are negotiable.